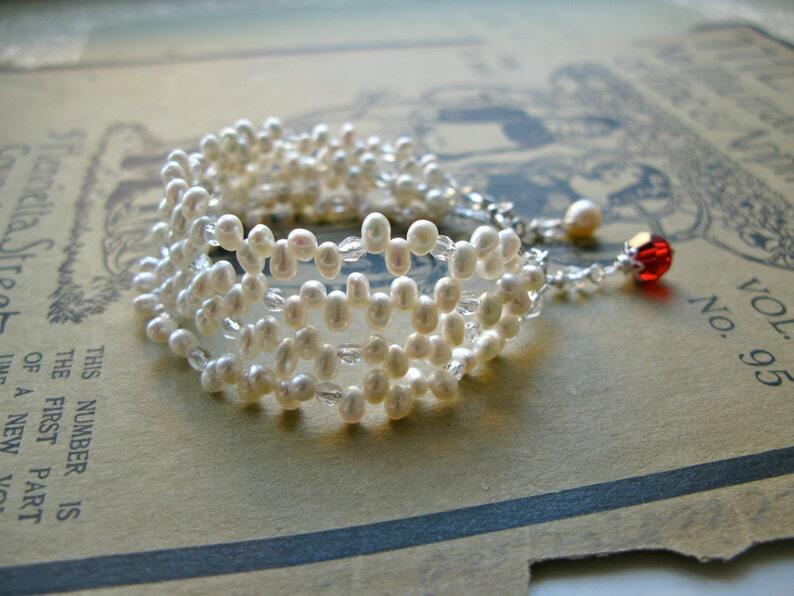 This stunning bracelet features four strings of white freshwater pearls with some faceted czech glass beads added here and there and a fiery red swarovski crystal. Clasp and all findings are sterling silver . Length of bracelet is 18cm, possible to lengthen a little on request. So comfortable, fits like a dream! Handmade with love and care in my little studio in Helsinki.